An increasing number of helicopter flight data monitoring (HFDM) services are being offered these days. What are their advantages? How can they help you improve flight safety, while also reducing your maintenance costs? Above all, which one should you choose? Below we list the five main criteria to help you make an informed decision. Some HFDM systems entail downloading data via a wire connection, which means a ground crew member has to manually recover the data. While these solutions may be less costly at the outset, they carry risks of data loss, delays and extra labor costs. A more modern solution, with automated and wireless data transmission at the end of the flight, is preferable. This type of solution means considerable time savings, lower overall costs and higher reliability. There are a number of possible solutions, including GSM, Wi-Fi, Bluetooth, satcom, etc. It’s up to you to choose the one that best meets your requirements. All HFDM solutions have the same objective, namely to help you better understand your fleet and the daily performance of your aircraft, so you can improve flight safety and reduce operating costs. However, it’s very easy to get lost in the vast volume of data. Unless you have access to a team of data processing and analysis experts, you should choose a solution that simplifies this task. Some systems now allow you to see all flight data via a Web interface, with dashboards offering a clear and concise view of your operations. What this means is that your technicians can focus on their core activity, which is to set up and carry out flight safety and maintenance actions. You don’t operate your helicopters like everybody else, so you need a system tailored to your needs. Look for an easily configurable solution that will allow you to track your key indicators. You should be able to monitor one or more parameters and receive alerts as soon as a reading exceeds a predefined threshold, so you can automatically detect any anomaly in terms of temperature, pressure, vibrations, etc. When the threshold is exceeded, an alarm sounds to automatically warn the persons concerned: pilot, head of engineering, flight safety personnel, etc. The latest systems even allow you to define the flight phase when the alarm is triggered. In short, choose a system that’s easy to configure and allows you to monitor as many parameters as possible, depending on the criteria for your operations. 4- Keep an eye on the sky… from your screen! 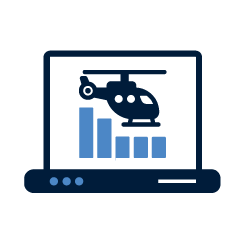 Some HFDM systems allow you to display the position of all of your helicopters in real time, using satellite communications. While this is very tempting, take a close look at two key factors. First, your communications costs! Make sure that your system can be configured at any given moment to avoid excess satcom costs. Some systems even allow you to configure your data transmissions according to predefined geographic zones. Secondly, to get the maximum benefit from real-time data transmission, make sure that you can choose which data should be transmitted. In addition to information linked to a global navigation satellite system (GNSS), including time, latitude, longitude, altitude and speed, some systems let you configure alerts for certain parameters. That’s a simple and effective way of keeping an eye on your fleet, one that could prove indispensable if you’re operating in a hazardous zone or at low altitude. One last bit of advice: choose a data monitoring unit that’s small, light and easy to install. You should also be aware that an HFDM is not necessarily expensive, and that there are affordable packages available even for small operators. Don’t compromise! 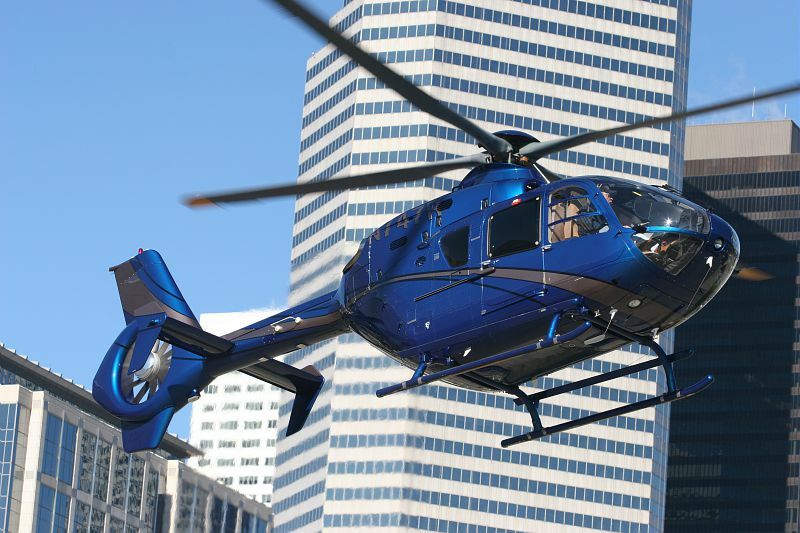 By applying these five criteria, you’re on the right path to the state of the art in helicopter flight data monitoring. But why not take the next step and consider tomorrow’s solutions? That’s why the Cassiopée team at Safran organized a conference in Barcelona in June 2018 for Cassiopée Helisafe users, to identify emerging operator needs. Cassiopée Helisafe is an HFDM solution deployed by more than 80 operators worldwide to monitor over 450 helicopters. Cassiopée Helisafe is constantly upgraded in line with feedback from its users. It already meets the five criteria listed above, but we wanted to go even further. In Barcelona, we encouraged users to speak out, and then passed on their requirements to our design and engineering teams: an even more powerful data monitoring unit; even more functions (but still as simple to use); even more responsive customer support, services custom-tailored to different types of missions, etc. We also offered workshops to help create and interpret different alerts. At the same time, we unveiled the characteristics of a prototype that will allow us to test the new functions offered by the Helicom V3 data unit, to be rolled out in 2019, and announced the upcoming creation of a Cassiopée Helisafe users community. The world of helicopter flight data monitoring systems is moving forward: keep your eyes peeled for the latest developments!